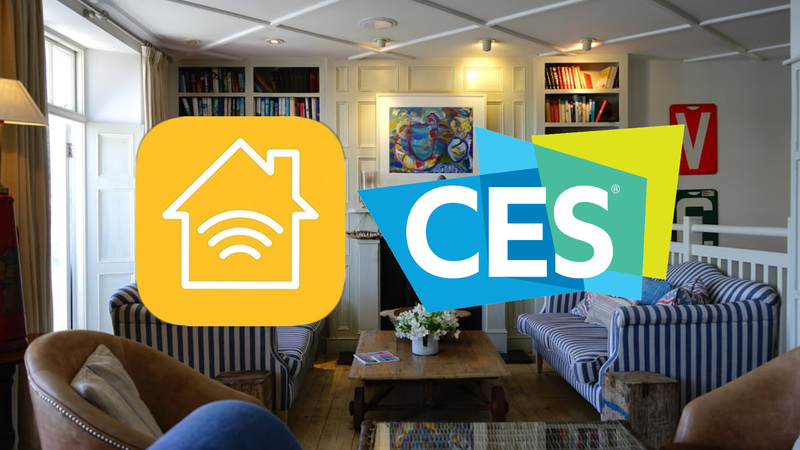 CES has finished up and just like last year, we saw a barrage of new HomeKit items that will be soon coming to market. Last year we saw the additions of a bunch of new products like ceiling fans from Hunter, several new iDevices products, FirstAlert’s HomeKit safe, a whole range of switches and sensors from Elgato (that we reviewed), and much more. This year there are even more new products, which is very promising. Admittedly while there are lots of new entrants, not everything is as original as a ceiling fan or safe. Instead we are seeing a lot of products that are making the HomeKit ecosystem more seamless, and giving you options when you look for something like a lock, thermostat, or wall switch. Starting with one of the products I was most excited in and that looked most unique was the first HomeKit product from Ring. Previously known as Doorbot, the Ring Video Doorbell has been around a while. It has proven to be very popular, but lacked HomeKit support. They now have released a new floodlight, that has a built-in camera, that utilizes the enhancements Apple made to HomeKit in iOS 10. Namely, camera support. Other than HomeKit support, it also features 1080p video recording and the “loudest siren available on an outdoor camera”. 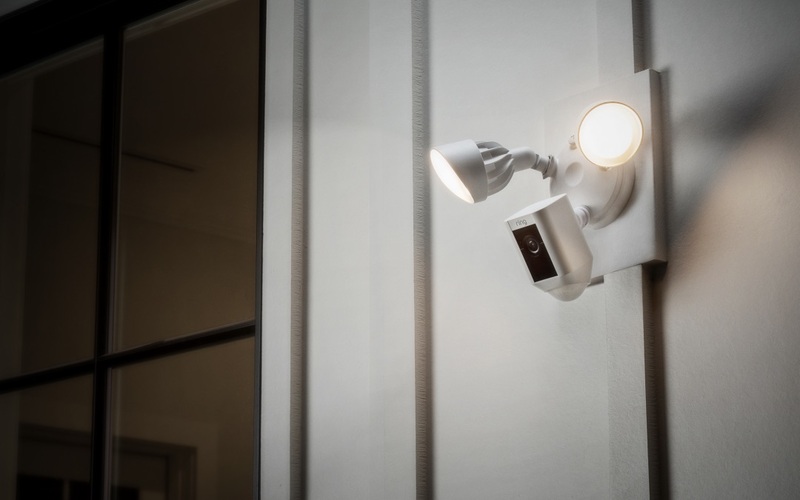 We’ve seen other cameras take advantage of HomeKit but this is the first security floodlight camera we’ve seen hit the market. 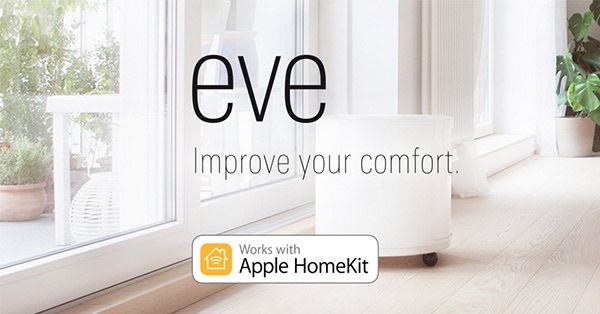 iDevices has some really solid HomeKit products out there already. I’ve used their outdoor switch for the past 2 years to control my Christmas lights with fantastic results. No longer do I need some odd remotes, or confusing schedules to control the lights. I can use the HomeKit app and Siri to have them turn on and off when I please. This year iDevices has another unique product I’m very excited to add to my smart home. That is the stick-on wall switch. We’ve seen many physical wall switches that involve replacing your existing switches, but you are forced to use that location and can be tricky for many to do the wiring safely. These new stick-on switches will control any accessories or scenes you choose, and you don’t have to do have any existing wiring, or replace any existing hardware. They are powered from 2 coin cell batteries that will get you 2 years of use before you have to swap them. Like many HomeKit accessories, the biggest problem is they are still a bit pricey to change over your entire ouse at $49.95 a piece. They will be made available in mid 2017. Hubs are a necessary evil that we saw lots of this year at CES. The Mixtile hub is very different though because it allows you to connect your existing (but not HomeKit eligible) products using Z-Wave or ZigBee and connect them to HomeKit. There is an abundance of products using these two standards including thermostats, garage door openers, and especially lights. Mixtile hub is also unique as that you can actually connect it to your TV as a monitor to help the setup process. Then an accompanying app allows you to designate what each accessory does so it can be appropriately utilized via Siri and HomeKit. Incipio announced a new wall switch, similar to what we’ve seen in the past. What I thought was more exciting was the power strip. It allows you to connect 4 devices and control them individually through HomeKit. They could be different lights, fans, humidifiers, etc. All of which can be scheduled, triggered, or controlled. 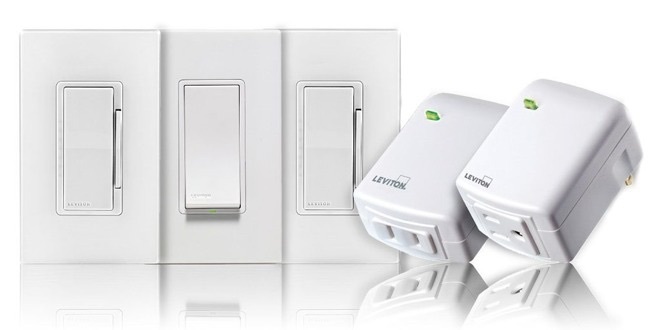 They will be viable later this year for $59.99 (Smart Wall Switch) and $99.99 (Power Strip). I really like Elgato’s lineup of Eve HomeKit accessories. I currently utilize several of them to perform different functions around my home. They have been very reliable, and they look very nice. 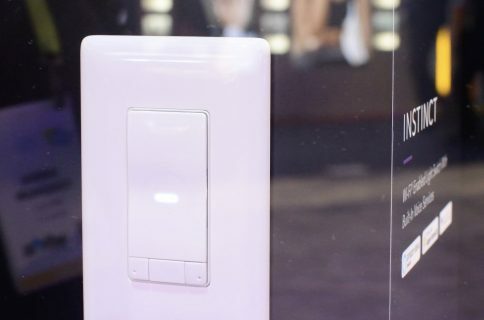 I particularly like their version on the popular wall switch that even includes a little nightlight. 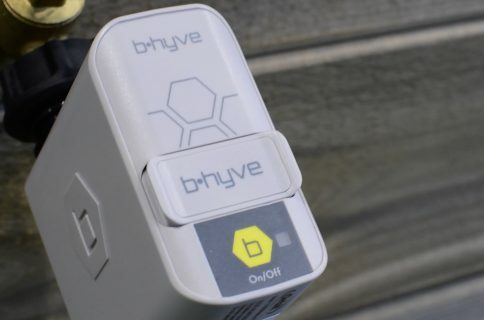 They’ve built upon their already solid lineup of products with a new water sensor, and more interestingly, a Bluetooth extender. HomeKit products are made available outside your home by connecting to an Apple TV (or iPad running iOS 10). Problem is, not everything is necessarily within range of one of those two items. Say you have sensors or a lock on your door, but your Apple TV is in the living room. You can’t send commands or receive notifications when you are outside your home in that situation. The Eve Extend bridges those bluetooth products to Wi-Fi, allowing you access in those remote locations of your house. Netatmo makes some solid weather and camera products, but this is their first HomeKit-enabled product, and one many people were looking for. The Smart Smoke Alarm is similar to other “smart” smoke detectors that alerts you on your phone of problems and allows you to “hush” the siren in the case of a false trigger from something like burnt toast. It has an 85db chime and a 10-year battery. HomeKit support will allow you to receive those notifications remotely, or even perform other functions like turning your smart bulbs red if it detects a fire. 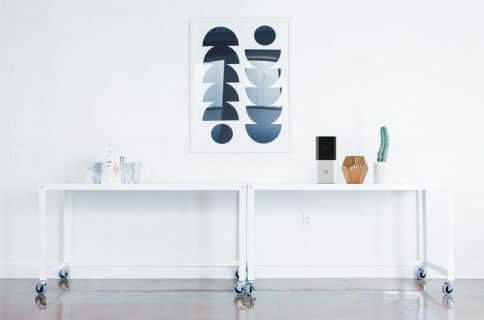 Similar to how Philips released a new hub that added HomeKit support to their existing smart bulbs, Chamberlain is introducing a new MyQ Home Bridge that allows you to now use Siri with any of your already purchased accessories. They are even releasing the hub at a reduced price ($49.99), before raising it to full retail $69.99. More tempting to me though, the smart garage door opener, dubbed the Smart Garage Hub. It allows you to add HomeKit support to virtually any brand of garage door system you already own. This is a perfect smart home accessory. You can tie it to location based commands, like if you arrive or leave it can open or close. Or even get notifications when someone raises or lowers it, similar to a window/door sensor. The Smart Garage Hub will be available starting April of this year. 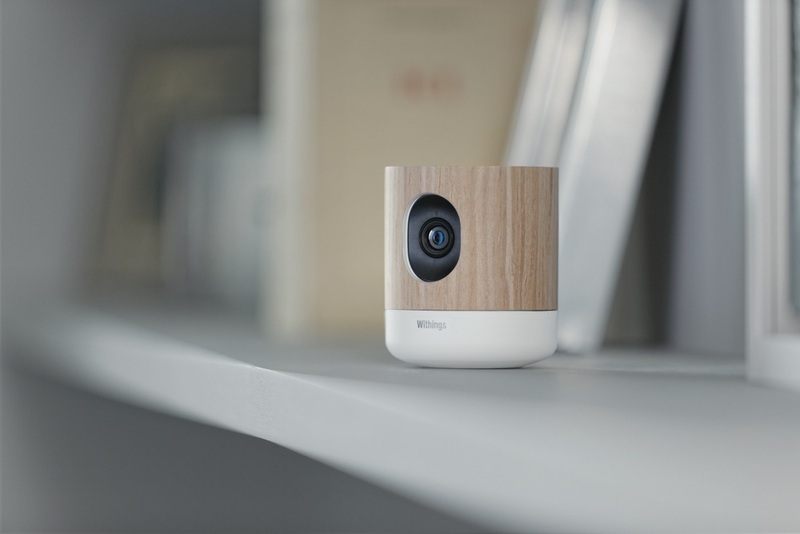 Withings’ popular baby monitor/smart security camera got a neat upgrade not too long ago that allowed you to watch it on your Apple TV. The newer Home Plus Smart Security Camera adds even more via HomeKit support. 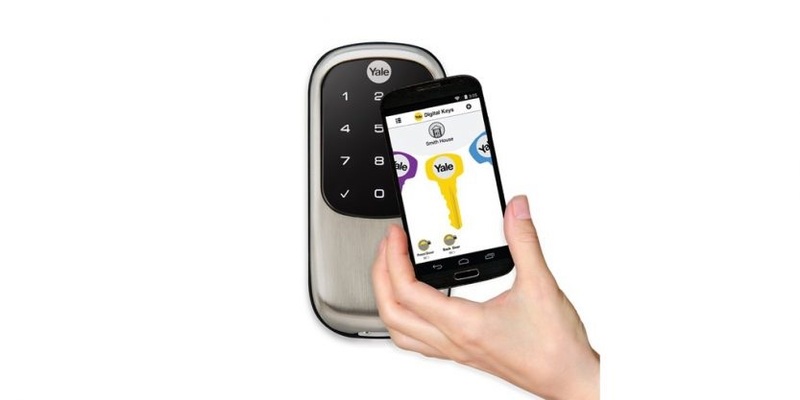 Joining Kevo, August, and a bevy of other manufactures, well known lock maker Yale is adding HomeKit support to their line of Real Living Assure smart locks. 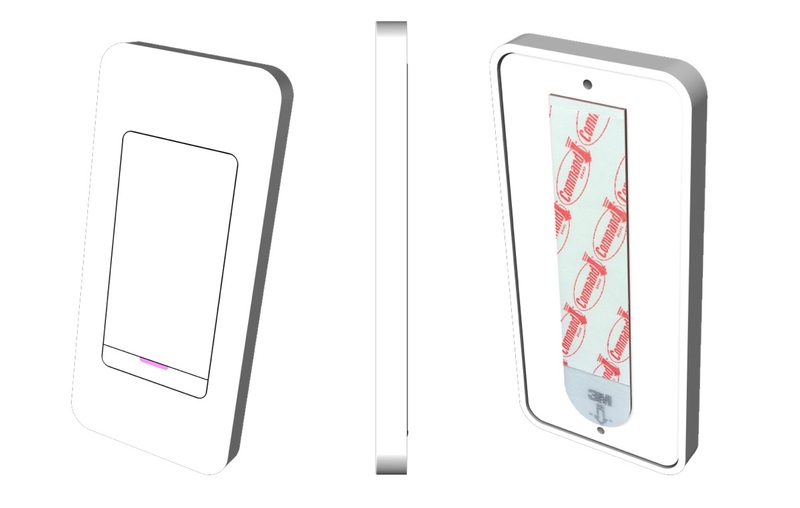 Another iteration of the popular HomeKit light switch that we have seen a few times so far this year. Noticeably, they are more physical with actual clicking buttons unlike the capacitive button on the Elgato Eve. 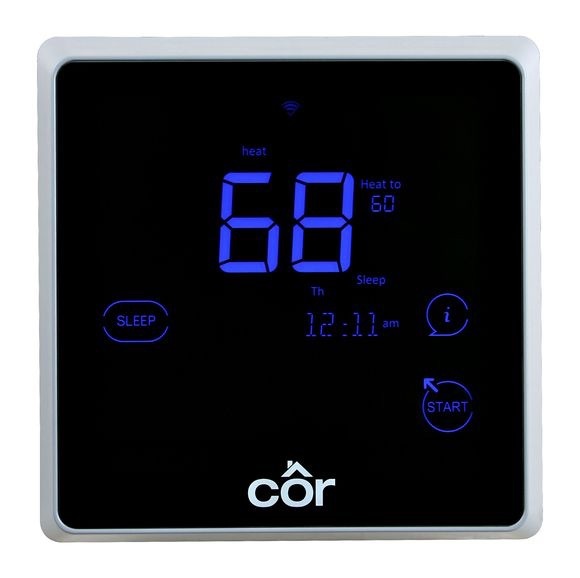 Carrier introduced two new versions of their Côr thermostats, bringing with them HomeKit support. It will be available early this year. This is very similar to the Eve Extend, and allows you to connect your Bluetooth Low Energy based HomeKit products to Wifi, allowing even greater access. It adds to the already existing lineup of HomeKit sensors from ConnectSense. 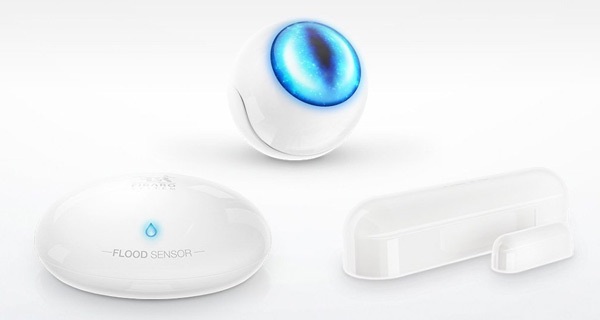 Fibaro has the most new entries into the HomeKit market this year with a flood sensor, motion sensor and a door/window sensor. While they aren’t the most exciting bunch of products, they are all necessary pieces of making a truly smart home. Now that iOS 10 includes triggers for things like door sensors, there is much more you can do. For instance, I have my patio lights turn on any time I open my patio door. The motion sensor in particular is also especially well equipped. It not only detects motion, but temperature, light intensity, and even an accelerometer to detect any tampering. The motion sensor will retain for $69.99, the door/window sensor for $59.99, and the flood sensor for $69.99. 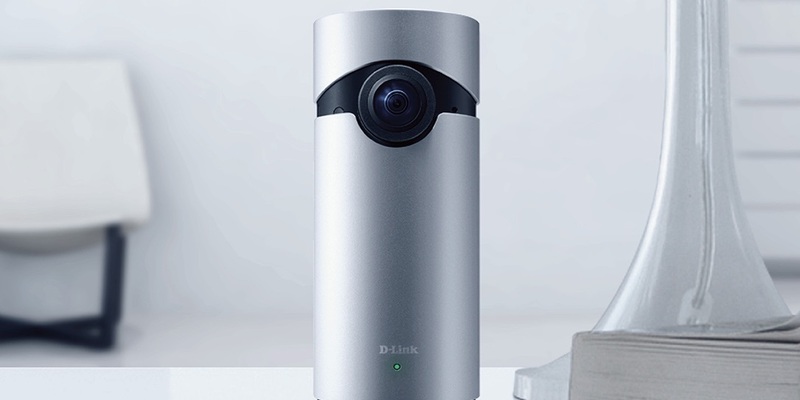 D-Link is also stepping into the arena with their new HomeKit equipped Omna camera. The one product I did expect to see here at CES that I didn’t was the Canary Plus security camera, which was expected to launch in the fall, alongside iOS 10. I’m very happy with my HomeKit-equipped smart home and the array of products that we are seeing is starting to bring everything together. Early on it was a bit sketchy with mostly outlets and smart bulbs building out the product offerings. But if you had smart bulbs, you couldn’t use wall switches lest the “smart” features wouldn’t work, as you had cut off their power. Now that we are having a more robust list of options for wall switches and sensors, it is about time we start seeing more accessories taking to HomeKit. I particularly want to see Apple and manufacturers start building HomeKit into things like smart coffee makers, ovens, safes, or other areas of the Home. Why not HomeKit enabled deadbolts? Or a dishwasher? It would be nice to load the dishwasher and have it scheduled to run overnight, or when I actually go to bed and forget that I didn’t start it, I can using Siri. So what do you think of the laundry list of new HomeKit products? Is it enough for you to dive in and start teaching your home new tricks? What other products would you like to see equipped with Siri control? Let us know all your thoughts down in the comments below.